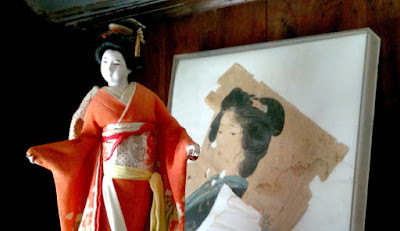 There seemed to be a relationship between these two geishas. I liked the way three dimensions came out of two. but they loved her just the same. 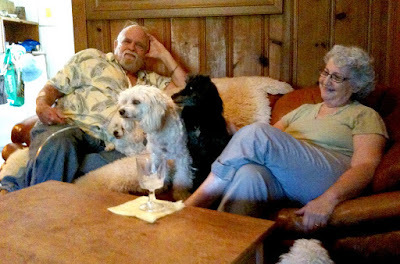 Some of the dogs had favorites. Some each other, and others, Jim. Classmate, who I didn't know, in art at the Univ. 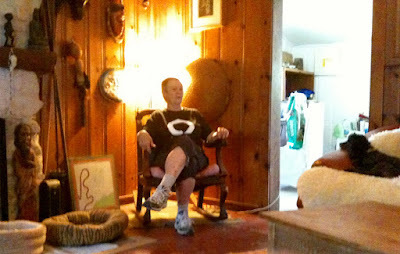 of Illinois, now a zen priest, husband of Barbara, another zen priest, father of many dogs, and viewer of my blog.